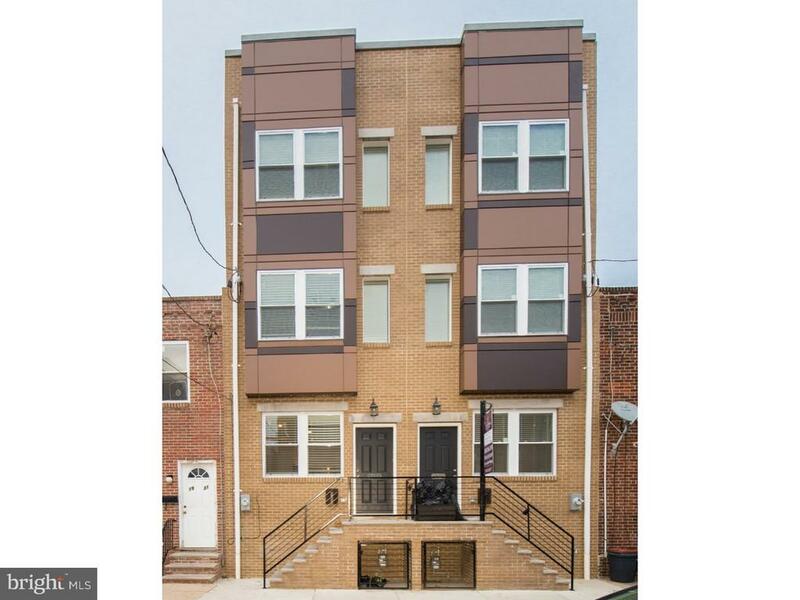 Meet this 3 bed, 3 bath, new construction home with finished basement and rooftop deck, located on the very best block in Point Breeze! Quiet, low traffic block with easy parking yet in the middle of everything, with walkability to coffee shops, a yoga studio, restaurants, shops and more. This home begins with an open living room and dining room area with hardwood flooring, tall ceilings and two windows. The beautiful new kitchen features stainless steel appliances, custom white shaker cabinets, granite countertops, tile backsplash and a door leading out to a yard- perfect for dining al fresco! On the second floor there are two bedrooms with closets, ceiling fans and windows. Off the hall is a spacious full tile bath with large vanity and tub, and a laundry closet with stackable Samsung washer/dryer. The third floor is a spacious and ultra-private master suite with 3 windows, huge walk-in closet with shelving and a large bathroom with dual vanity and beautiful stall shower. Doors lead out to the large rooftop deck with incredible skyline views! The finished basement offers a full bathroom, ample storage and mechanicals. You wont want to miss this! Available immediately! !